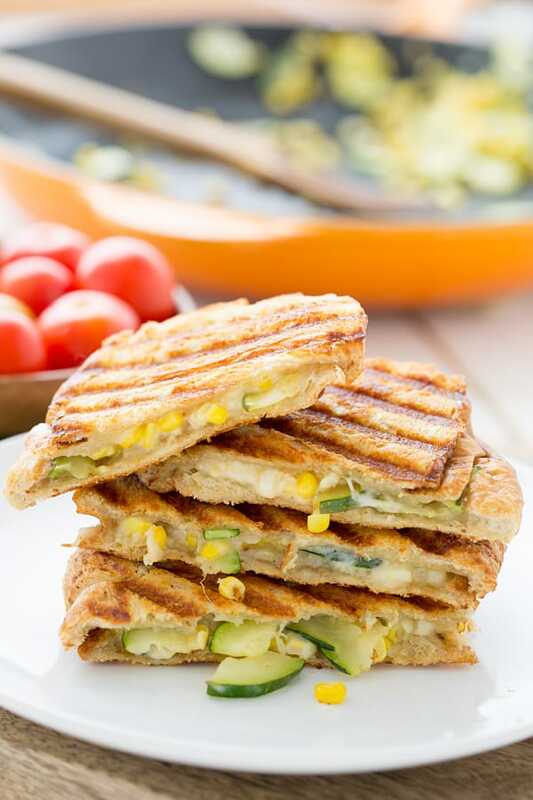 Zucchini & Corn Panini with Pepper Jack Cheese - Oh My Veggies! It’s summer and that means I spend about 4 hours a day thinking to myself, “What can I make with corn? 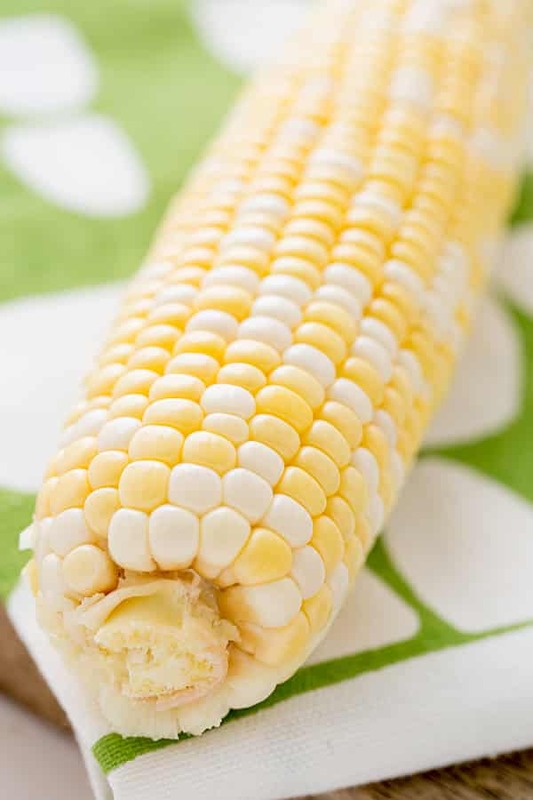 I need to eat more corn.” Because I am greedy for corn. I feel like I need to eat massive amounts of it while it’s in season or winter will be full of tears and regret. Thanks to this Sweet Corn Grilled Cheese recipe from Panini Happy, I now have a new way to use corn: in sandwiches! I am in love with this thing! I bought it at IKEA back in June. 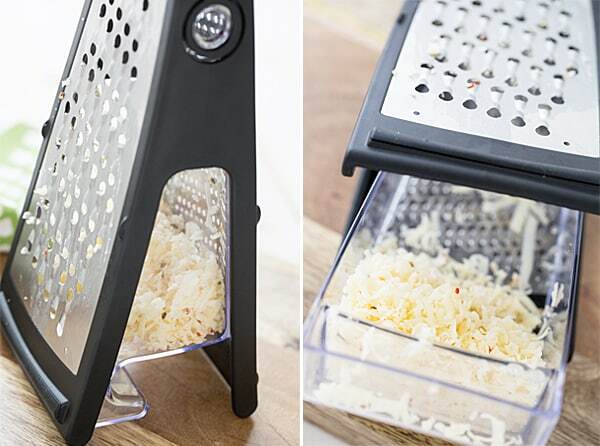 It’s a regular box grater, but it has a container to catch whatever it is you’re grating. Maybe you all have one of these and I’m just behind the times, but I was deliriously happy to find this. I really like using cheese I shred myself in recipes because I find that it melts a lot better and this makes shredding cheese a whole lot easier. This whole experience has made me reevaluate my feelings on IKEA kitchen tools. Back to the sandwich! The combination of spicy pepper jack cheese and fresh summer veggies makes these simple sandwiches flavorful and delicious. The thing I love most about cooking during the summer is that everything tastes so good, you can keep recipes simple and they still taste amazing. I mean, I will eat corn straight off the cob, uncooked, without any butter or salt! When can you do that other than summer? This post was originally published on July 29, 2013. Panini topped with fresh corn, zucchini, and pepper jack cheese. Heat oil in a large skillet over medium-high heat. Add garlic and cook for about 15 seconds, until fragrant. Stir in the zucchini and corn and cook until the zucchini is softened (but not mushy! ), about 3 minutes more. Remove from heat and season with salt and pepper to taste. Turn on your panini press and set the temperature to High. Put half of the cheese on 4 slices of bread, then top that with the veggie mixture, remaining cheese, and remaining slices of bread. Butter the tops of the sandwiches with half of the butter. Carefully place the sandwiches on the panini press, buttered side down, then butter the other side of the sandwiches and close the press. (Depending on the size of the bread and your panini press, you may have to do 2 sandwiches at a time.) Cook for 5-7 minutes or until cheese has melted and bread is toasted. Any peppery cheese will work in this sandwich–the hotter the better! I’ve made these with Hatch Cheddar too. Love this combination of summer veggies and pepper jack cheese! haha, my dad and I used to make corn sandwiches when I was a kid. Take a slice of bread – butter it lightly, add a scoop of steamed corn and two shakes of pepper, fold over and mmmm. I’d usually insist on making one whenever corn was served with dinner. I loved doing things like that when I was a kid. I used to always make spaghetti sandwiches with garlic bread. Because really, the only thing better than carbs is more carbs! I haven’t gotten my fill of corn yet this summer either but August will surely be the time for it. Your sandwich looks great and I will keep my eye out for that grater box on my next Ikea trip. I totally agree about summer meals being so easy but so good – I could eat a giant bowl of corn for dinner with just some salt and pepper and be a very happy girl! But it looks amazing in this panini too! I feel you on the corn addiction, I’ve been putting it in everything I make! This panini looks so incredibly good. I would have loved this with some tomato soup for dinner because it was actually chilly outside here! Btw, you’re grater is pretty awesome! Ooh, this would be perfect with tomato soup! Ooooh nifty cheese grater, I want one! The panini looks DELISH. Corn is a perfect summer food and this panini looks delicious. Thanks for your recipe. What a great idea for a grilled cheese. This is a great panini and would give us a great lunch! I have some yellow squash which should work great as well. Thanks for this! I really need to savor more corn into my meals. This looks divine! In love with this sanwich!! Wow! Looks so good! I know what you mean about corn – just last night I roasted a cob to add to a panzanella salad and decided to taste some from the cob first to test it before I sliced it all off…it was so good that I found it hard to stop eating it all right away, even though I almost burnt my mouth on it! I don’t think I’ve tried it in a sandwich yet but I’m sure I would love it that way too! All day long I’ve been thinking about buying a panini press and it’s entirely because of this post! This just looks so, so good. I couldn’t justify a standalone panini press, so I bought a Griddler and I LOVE it. Normally I’m not a fan of Cuisinart products, but that one is totally worth it. Oh man does that sound good!! Somehow this sounds like the perfect combination of hearty sandwich but light at the same time! Perfect for summer! One of the reasons I can’t wait to go to Greece is for the barbecued corn street stalls. Char-grilled, salted and wrapped in a paper towel – everyone walks around munching on these things. Your paninis look brilliant, and I want one of those cheese graters!! This sounds delicious! I almost always have some type of squash on hand that I need something to do with. I also just got a panini press yesterday! Perfect! We love our panini press–I’m sure you will get a lot of use out of it! This sandwich is SUPER good. 10 out of 10 stars, would panini again.